Search for taxi, hackney or minibus hire companies in Dublin, Ireland by area code/ postal district. Each area on the map below represents an area of County Dublin. 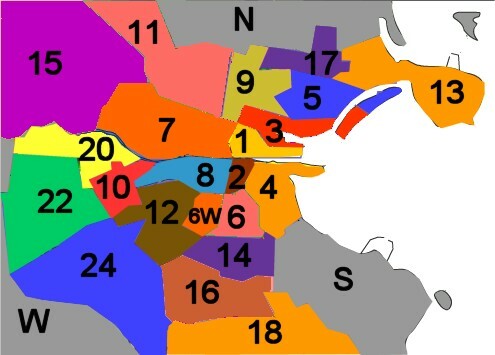 The numbers represent Dublin 1, Dublin 2 etc. 'N' is North County Dublin, 'W' is West County Dublin and 'S' is South County Dublin. Click on the areas in the map below to find a list of local taxi/hackney/minibus hire companies in that area. Website and contents ©2018 ElmSoft Web Solutions.